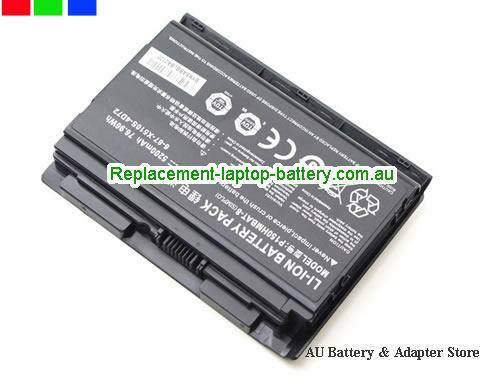 New and high quality Genuine Clevo 6-87-X510S-4D72 P150HMBAT-8 P150 P150EM PC Battery(Li-ion 14.8V 5200mAh, 76.96Wh ) In Australia. 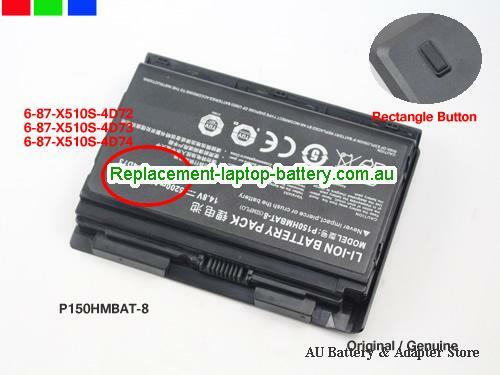 Note: there are 2 styles of P150HMBAT-8 batteries in the market, the difference of NCOX510S5200B8 is a small button on the back of battery like a rectangle! 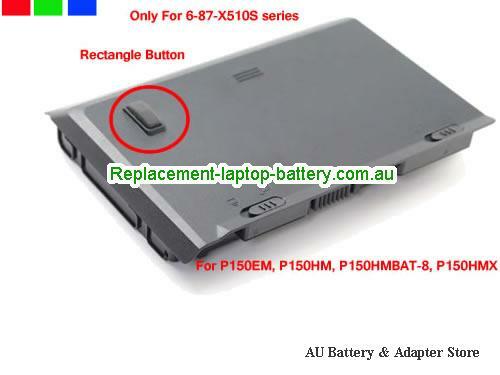 It can ONLY compatible with 6-87-X510S-4D72, 6-87-X510S-4D73, 6-87-X510S Series laptop. X711, X711 1060 67T, X711 970M 67SH1, X811, X811 770M 47T, X811 780M 47V, X811 870M 47S1, X811 870M 47SH1, X811 870M 47SH2, X811 870M 47T, X811 880M 47S1, X811 880M 47SH1, X811 880M 47SH2, X811 880M 48SH1, X811 880M 491SH1, X811 8970M 47, X811 8970M 47T, X811 970M 47SH1, X811 980M 47SH1, X811 980M 48SH1, X811 M290X 47T. 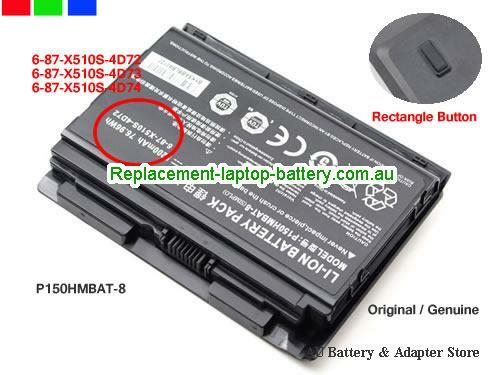 How can i sure this Genuine Clevo 6-87-X510S-4D72 P150HMBAT-8 P150 P150EM PC Battery is the correct one i need?